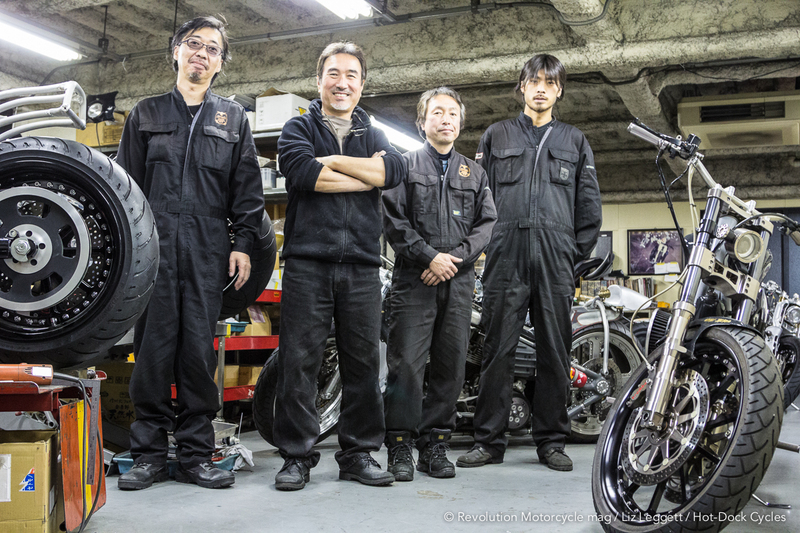 On my first trip to Japan for the Yokohama Mooneyes Custom Show last December, I knew there was one builder that I had to visit: Keiji Kawakita, well renowned in the custom bike world for over a decade thanks to his creations that are considered among some of the most innovative motorcycles in the industry. 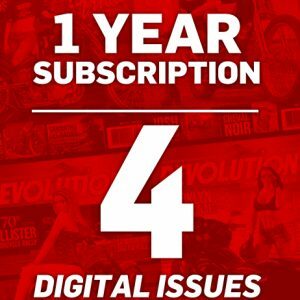 His style has garnered attention from many builders around the world, and his experience and passion when it comes to creating and racing are apparent, even through his more stylized creations. 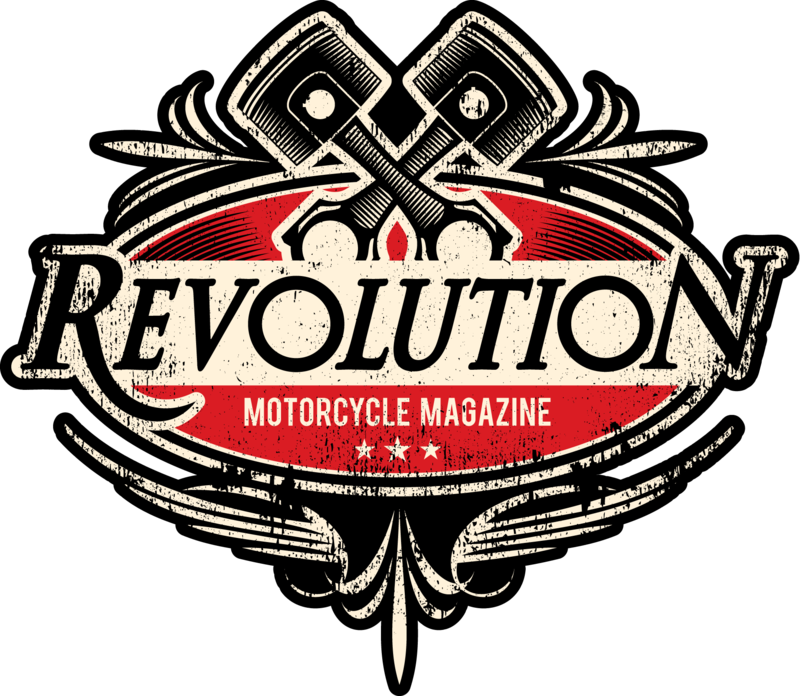 His reputation as a Harley-Davidson builder precedes him with many race bikes. 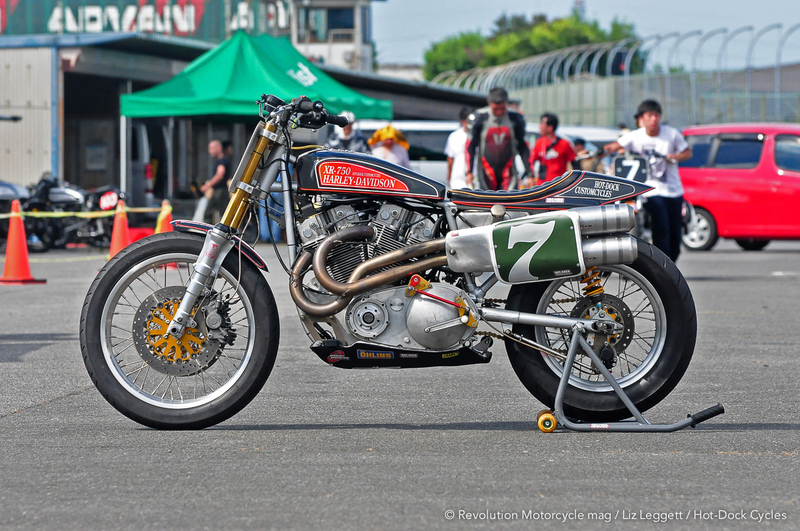 Keiji Kawakita has impressive custom projects under his belt and his shop “Hot-Dock Cycles” is renowned worldwide. A fan of building realistic models of war ships, tanks and planes, Keiji Kawakita is using his office as a museum. His attention to detail and fine craftsmanship are apparent in every project. Distressed paint and weathering techniques used in fine detail in these tiny works of art hint at the care and time put into everything he touches. 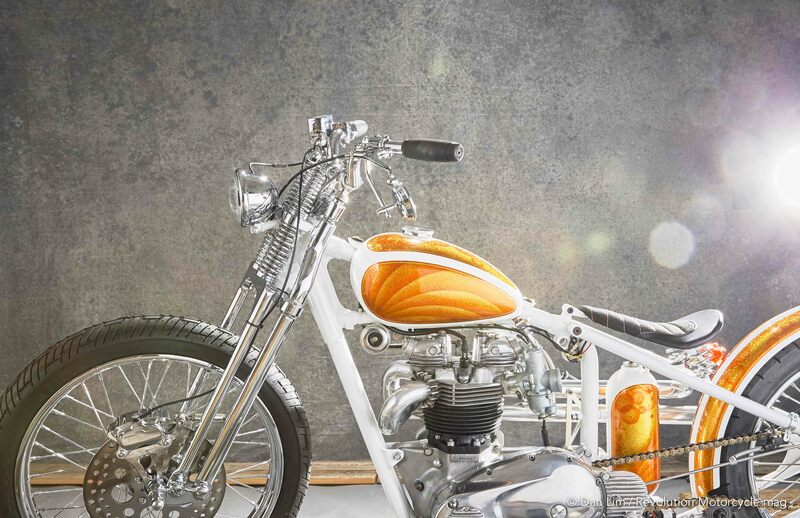 The custom-made parts he designs, including locking hinged gas caps similar to hatch doors, and the addition of pressure and gas gages onto fuel tanks give every bike an almost whimsical theme – that is usually hinted in its name. 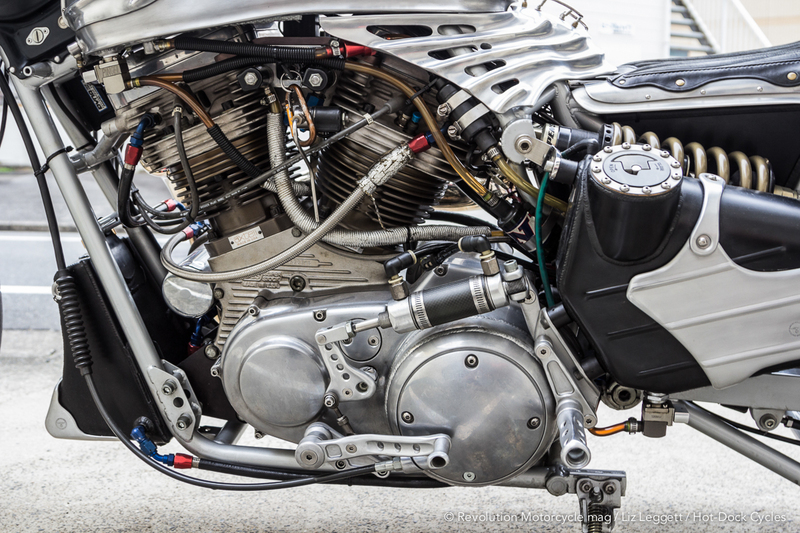 His bike “Black Widow” was inspired by the Northrop P-61 Black Widow war planes, taking styling cues from every aspect of the machine, from the hundreds of rivets covering the metalwork to the shape of the bike in general. 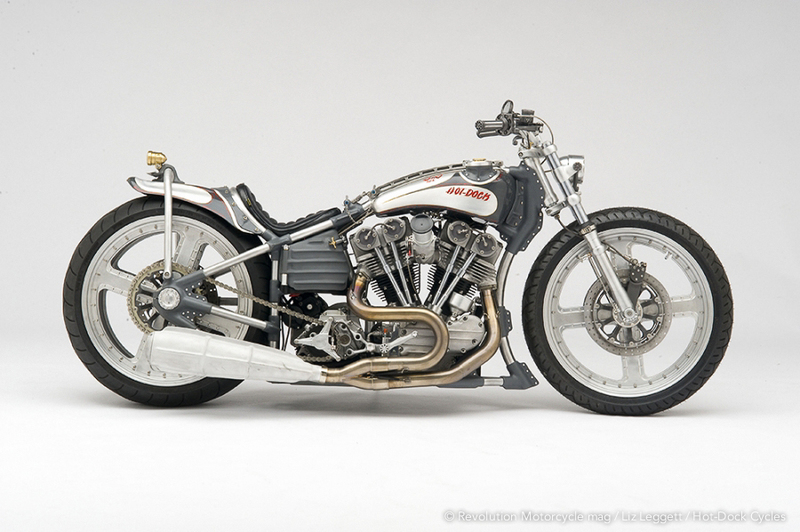 In 2008, the S&S Cycle Company celebrated its 50th anniversary with a bike show and build-off with 50 builders from around the globe that had to use the engines provided. 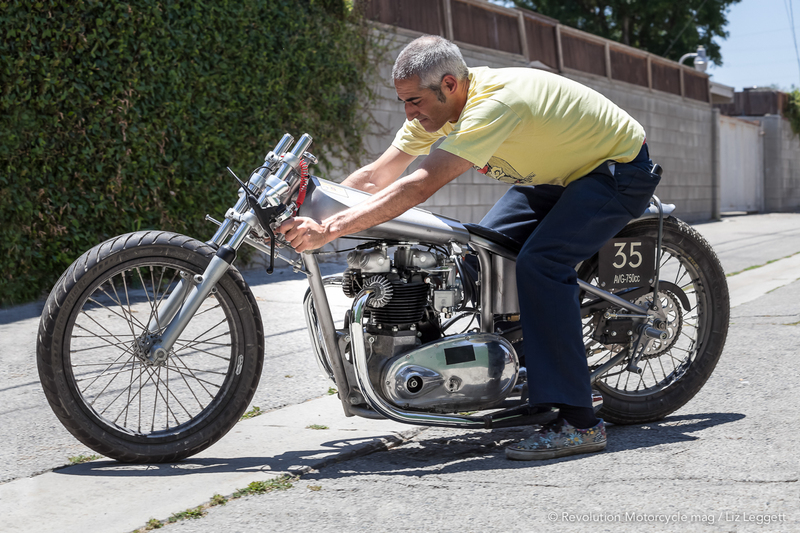 Keiji built the bike from the engine up, making every part of the bike his own. Named “The SGT. 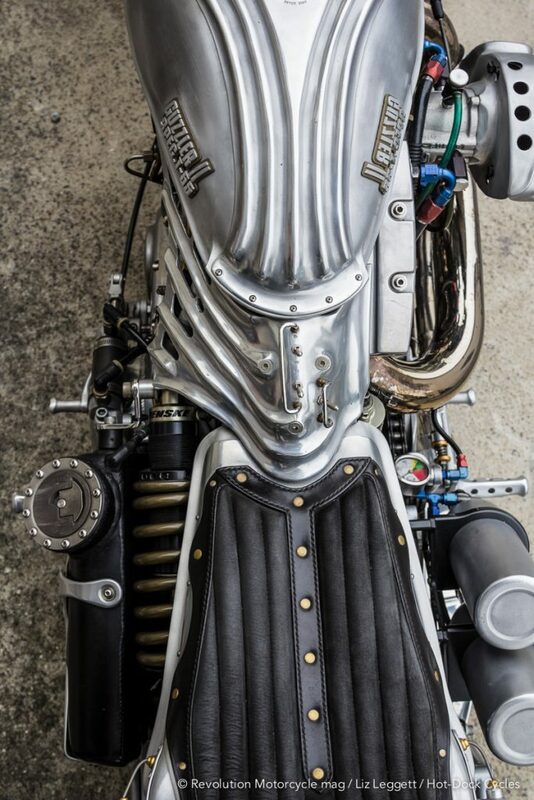 Nautilus”, the bike featured many custom handmade parts, including detailed gas cap based off of the design of a submarine hatch, and had a look that would have been perfectly at home in Jules Vern’s famous novel “20,000 Leagues Under the Sea”. 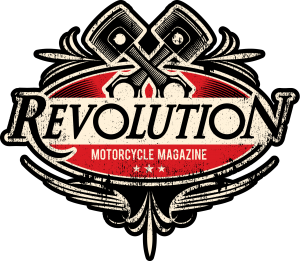 This prestigious event took place in LaCrosse, Wisconsin, and the bike he created took the show and the custom motorcycle world by storm, the master builder rightfully gaining even more international recognition. The “Gazzler 2”, one of the first bikes Kawatika built is still an ongoing project, having been modified many times over the course of 15 years. The bike has changed hands several times, and with each new owner, he is repeatedly asked for more radical changes and updates from his imagination. Its polished metal body is completely out of this world with more details than most bikes while remaining balanced. 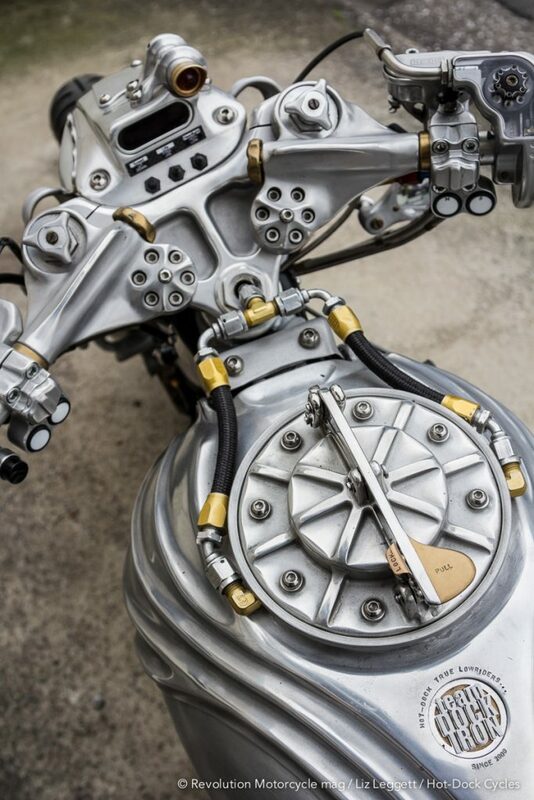 A truly moving piece of art featuring clasps, gauges, moulded body panels and so much more, the bike is an ever changing entity that has taken on its own life, growing almost like an organism. 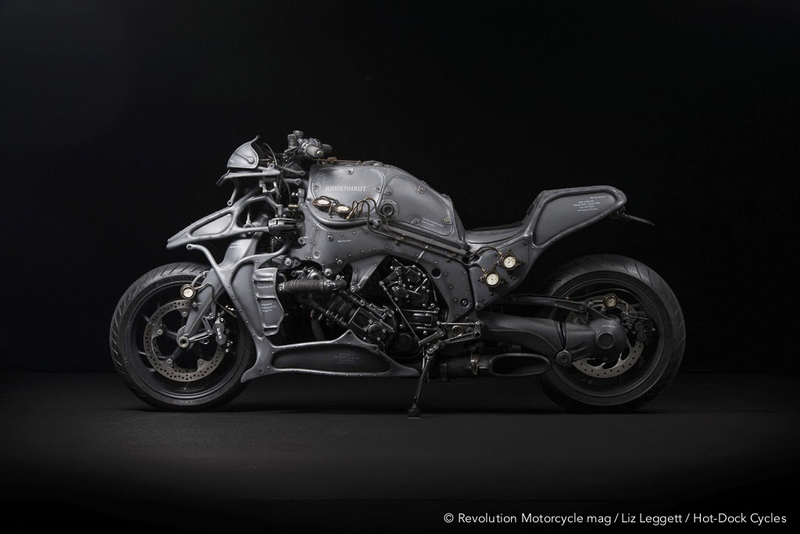 Some of his latest work was to customize the 2015 BMW K1600GTL bike known as “Juggernaut” (Jagannate). It displays his signature body styling, almost reminiscent of an H.G. Geiger painting. 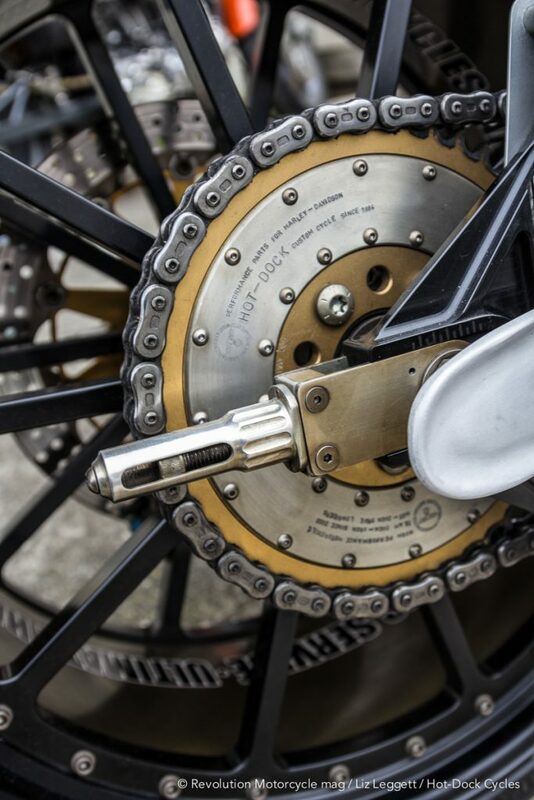 The flairing on most bikes is hammered out and formed on an English wheel, and then attached to the bike frame. 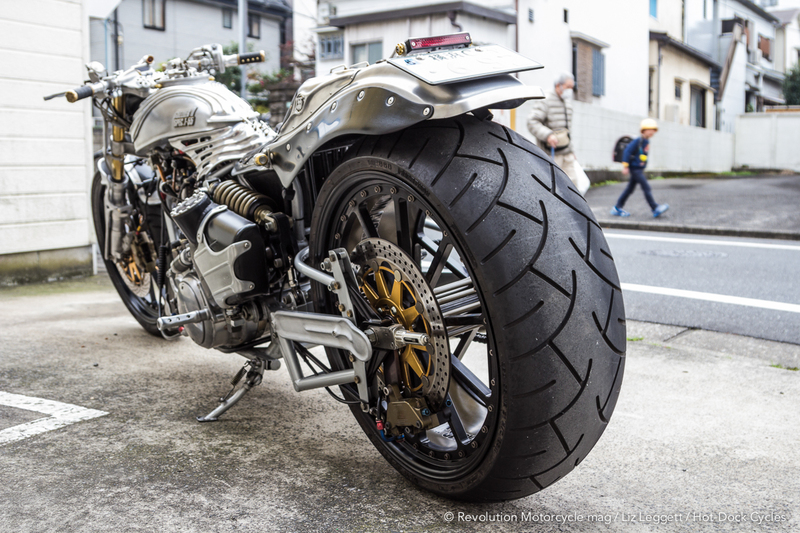 Whereas with this bike and several of Keiji’s newer creations, the hand-formed tube framework was cut and welded on the inner edges, fitting it into place to create an exoskeleton. This forms a cage to which the sheet metal is attached and shaped to fit, thus providing an organic feel. The inspiration for this bike came from the “Tiger 1” Tank used by the Germans. Conjuring visions of the future well at the same time nodding towards World War I and II vehicles, Keiji has created a balance between new and old, giving these impressive machines an almost timeless charm. 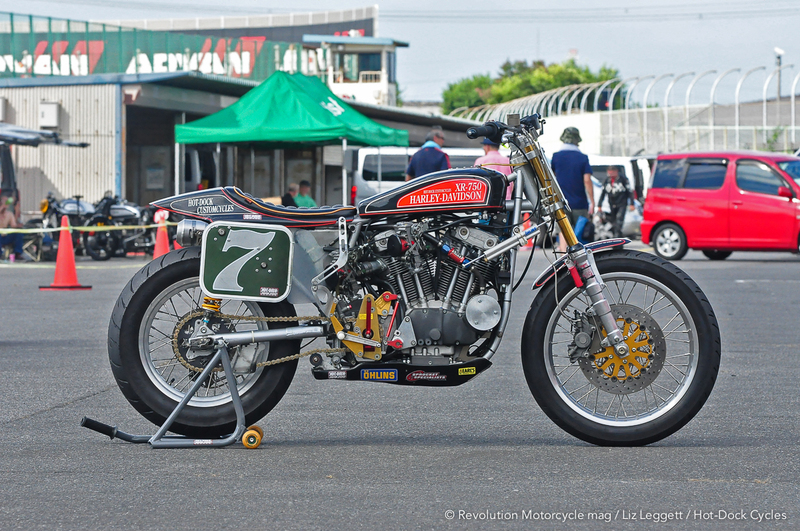 Building race bikes comes naturally to him, taking a place racing in many events around Japan and building bikes for customers to use in competitions. One of the bikes in the shop, a 1948 Harley, featured original drum brakes and springer front end, standard regulation to compete in the “Classics” category at the local track. 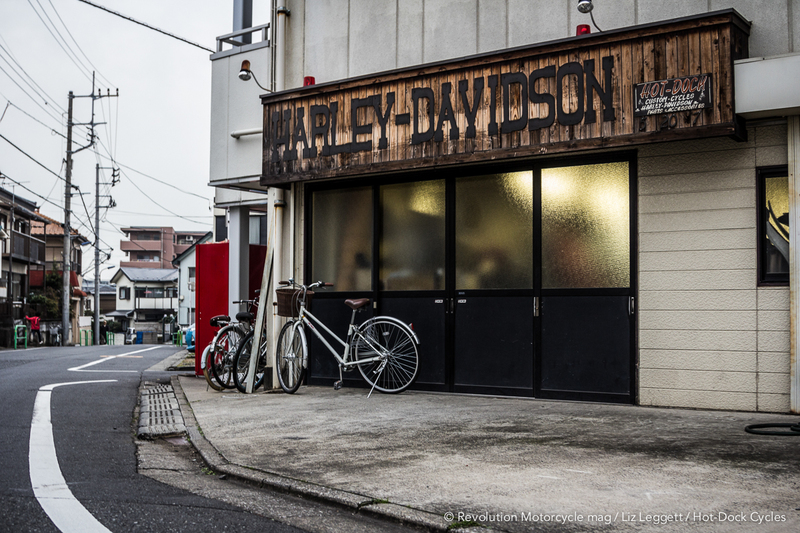 A large variety of vintage motorcycles are meticulously lined up close to one another in the “Hot-Dock Cycles” shop in Narima. 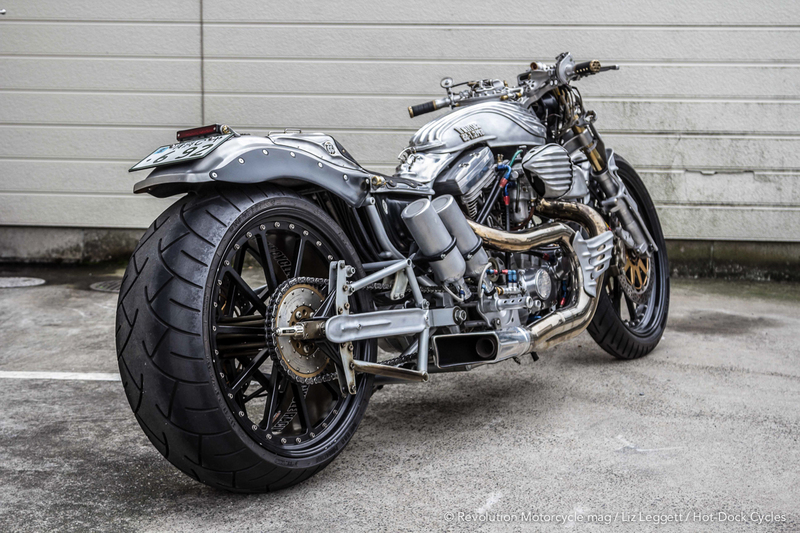 Besides his own and those of his customers is his brother’s drag racing motorcycle with its huge rear tire that makes the bike’s proportions almost cartoon like. Keiji has raced for many years. At one point, he was involved in a very serious accident that put him in a very large leg cast for quite some time. This memento still hangs on the wall of the shop alongside many mementos and articles from magazines and newspapers as well as trophies from his many racing victories. As many of us remember, the entire country of Japan was tragically rocked by an enormous 8.9 magnitude earthquake in 2011 that damaged many buildings and roads. This event also caused destruction. The tarmac of many race tracks was cracked. 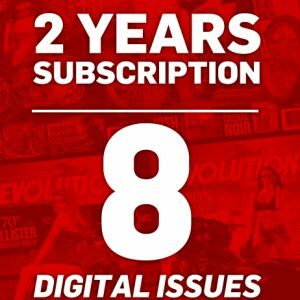 Several tracks had to close which affected everyone in the racing community with devastating consequences. The size and economy of the country already limited the number of tracks where events like drag racing occurred, and over the past few years, many of the tracks have closed. Recently new tracks have begun opening, lending hope that the bike race scene in Japan is far from dwindling. While visiting the shop, several bikes were up on the stands, being hammered, welded and tuned. Despite his many successes, Keiji Kawakita shows no sign of slowing down. During my visit, Winston Yeh from “Rough Crafts”, a custom shop based in Taiwan, dropped by to say hello to the master builder. 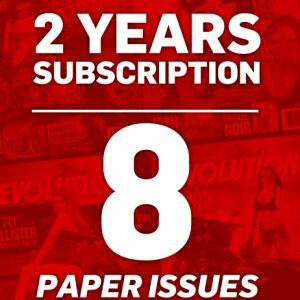 Continually building and dreaming up new and innovative designs, Keiji holds everyone’s attention with his imagination and raises the bar with every new creation.